Home > News > Office Paint ! 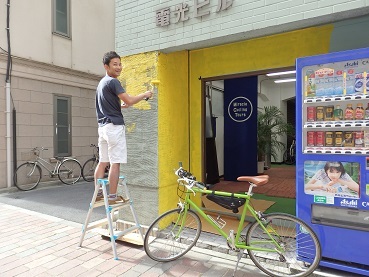 We have painted outer wall of our office. I like yellow. Because yellow is the color of happiness. and some one says yellow is the color of money. he he he. We will welcome you with new Tokyo Miracle Cycling Tour’s Office !